If you're working yourself into the ground to reach your goals, you need to come to KREIA in January. Wouldn't you like a more productive, fulfilling, meaningful, and joy-filled life, while also making more money and having more free time? Do you remember why you first started real estate investing? If you’re like most people, you probably thought it would give you financial wealth, freedom, and control of your time. But unfortunately, most investors have set up their business all wrong and instead become slaves to it. They end up stressed, overwhelmed, have strained relationships, money problems, and a lack of time. In other words… the very thing we created to give us a great life ends up taking it away. If this sounds familiar, don’t worry...the solution is called LIFEonaire and Jason Wojo is going to cover it at this month’s meeting! 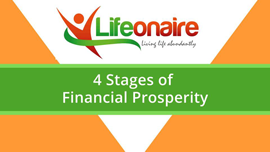 The 4 Stages of Financial Prosperity you absolutely must follow if you want to avoid the mistakes and traps that so many people fall into and never get out. Do these steps out of order (or not at all) and you’re destined for failure. The “Secret Sauce” that only a small minority of investors know but that allows them to be more productive, efficient, and effective in their businesses. How to create and start living a crystal-clear Lifeonaire vision that will include every aspect of your life including relationships, business, health, personal, spiritual life, etc. AND show you how to be at a level 10 on all of them at once! How to set up your real estate business in a way that it’s impossible to lose! When you do this you set yourself up to win! How to run an insanely profitable real estate business doing as little as three real estate transactions per year. How (and when) to leave your 9-5 job behind and feel 100% secure in your decision, knowing you can’t fail. How to “become your vision” and take it from being on paper and translating it into REAL LIFE. And no - you can’t just “manifest” it! Why the whole “good debt, bad debt” theory is a complete and bold-faced lie and what you can do to avoid spending a single dollar on interest ever again. 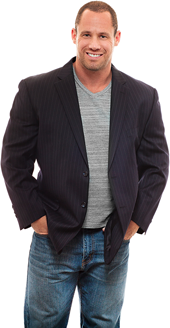 How Steve Cook paid off over $15M in debt in lighting speed and has never looked back since. How to use real estate investing as a powerful tool to eliminate all debt and never owe anything to anyone ever again. What you make is now yours to keep! Discover what it is that makes life worth living to you and how to find meaning, fulfillment, and purpose. How to identify and eliminate negative conditioning that has held you back in life and how to avoid getting sucked back in. Why using debt as a tax write-off strategy may be the dumbest thing you could possibly do. (Think about it…why would you ever spend $1.00 on interest payments to save only $.33 cents in taxes?). We have a better idea. The seductive yet deadly mistake so many people make in their attempts to gain happiness but instead become miserable. A specific trick to writing your life and business vision that will make it 10x more powerful and likely that you’ll accomplish it. How to deliberately design and live each and every day in a way you love. How to not let your current situation or circumstances dictate your future potential. Don’t be a victim to your past! How to finally escape the “rat race” FOR GOOD and say adios to the Joneses. How to run a 100% debt free real estate investing business. And yes…that includes rental properties! Get ready to have your minds blown with what you’re going to learn! Your view on life, business, debt, and purpose will be completely changed!